The currency in the Philippines is the Philippine peso (or piso). ISO standard code is PHP. The peso is divided into 100 centavos (or centimo). Since December 2010 the Philippine Central Bank (Bangko Sentral ng Pilipinas) has replaced the old banknotes. The Central Bank first announced that the old banknotes aren't valid anymore since January 1, 2017. Be careful! There are still people around who try to give you old bankontes. Current are coins of 1, 5, 10, and 25 centavos and 1, 5 and 10 pesos, and bank notes of 20, 50, 100, 200, 500 and 1000 pesos. Be careful with the 20 and 50 peso notes. They are nearly of the same color and in a batch of 50 peso notes you may find some of 20 pesos. Your money changer (see below) did win 30 pesos with every piece of 20 pesos smuggled in the batch. 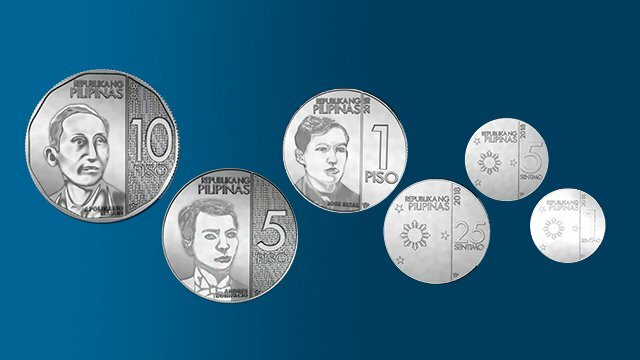 In 2018 also the Philippine coins have changed. Unfortunately they are now all of the same style and the same color. You really need to read the value of each coin in your hand. This can be very difficult in the night in a dark jeepney. We even encountered jeepney drivers who gave back too much change! Both sets of coins are still used. An expiry date for the old coins is not yet known. You are allowed import and export up to PHP 10'000. You may also import other currency up to the equivalent of USD 10'000. If you have to import larger amounts, then you have to declare the imported amount at the customs of your arrival port or airport. You nearly won't be able to get Philippines pesos abroad. Best choice are USD or EUR, but the euro is not yet accepted in remote places. Before you travel to small islands, make sure to have enough cash with you. Even if you find an ATM on the island (e.g. Camiguin), it may not be able to handle your credit card. Years ago it had been fine to change your US dollars at money changer boots in Malate. Today you get anywhere the same amount of pesos for your greenbacks. When you arrive at Manila's NAIA, you find 3 bank counters just before leaving the airport. Get your first pesos there and your taxi ride to downtown Manila will become much cheaper. All over the country you find a large array of banks. But only few are allowed to change your foreign money into pesos. The big problem comes when you want to sell pesos and buy other currency than US dollars. Most money changer buy almost any foreign currency, but they do not sell it. I could get neither Singapore dollars nor Thai baht at Cebu's Mactan International Airport. For Filipino travelers the only possibility is to buy US dollars here in the Philippines. Once arrived at the destination abroad buy the local currency with the US dollars. It is wise to have 2 or 3 USD 100 bills stowed anywhere in a secure place on your body (money belt). They make sure that you can get a plane ticket from any place in the Philippines to Manila. Plastic money becomes more and more common in the Philippines. In large cities and in tourist crowded places like Boracay you may pay everything with your credit card, but in remote locations it may be worthless. Be also aware that the exchange rates applied by the large credit card companies are up to 10% below the local exchange rate. There are incidents of credit card fraud in the Philippines, but they are also known in many other countries. So, do always keep an eye on your credit card. Do not allow hotel receptionists, bank clerks or any other person do go to a back-office with your credit card. Your card number and the security code on its back might be copied and used for Internet purchase or several blank slips may be produced and your signature be forged. Check the ATM vor BANCNET or MEGALINK stickers. 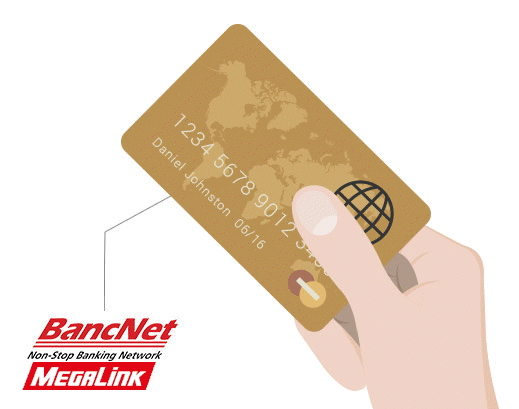 If there is such a sticker, you probably can use your credit or debit card from home. Track your credit card account using the Internet. If you encounter problems do not hesitate to call your credit card company. Master Card: 1 800 1111 0061 and Visa: 1 800 1111 0248 or have your home country's credit card hotline number with you. If you do not have a cell-phone with you, go to an Internet Cafe and use Skype.